We Are Not A Franchise, Or A Faceless Chain, We Are A Co-Operative Of Independent Retailers. Here At Liquor Barons, The People Who Work In The Stores, Own The Stores. We are proud to be exclusively West Australian, and work hard to provide interesting and varied selections of booze to all of our locals around this great state. To show you who we are, we've spent time going around and talking to our store owners and asking them about themselves, so that we can introduce them, to you. You probably already know the people who run your local, but do you know the others? We spend 5 minutes with Ben Marini (owner of Mt Hawthorn), about how he ended a career almost four decades long in the banking and finance sector, to fulfil his lifelong dream of owning a liquor store. Ben: “The company I worked for did a big restructure and offered me a national role in Sydney. I thought of all the things keeping me in Perth; a daughter getting married, grandkids, we were building a house… so I opted for early retirement so I could stay in WA. Not long after that, my brother-in-law moved here from Italy and we began throwing around ideas about a business. My wife reminded me “if you ever left the bank you said you’d buy a liquor shop.” She was right. 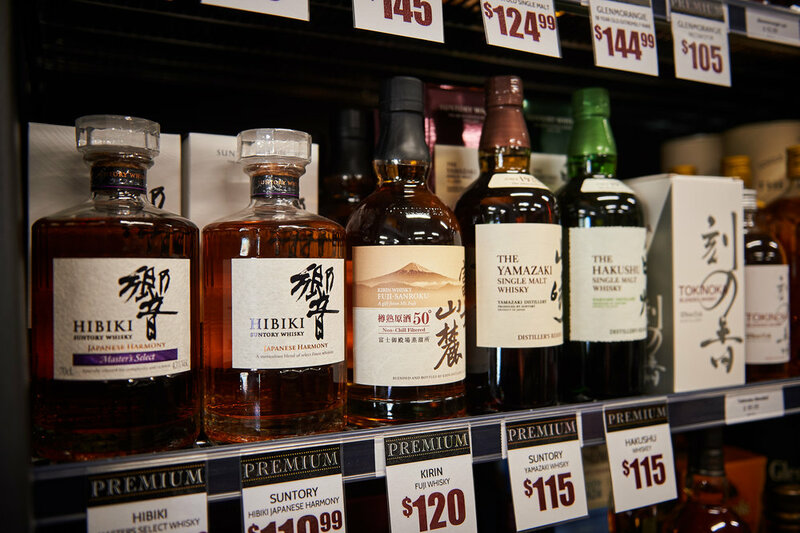 So we started looking, and eventually found the right store for us – Liquor Barons in Mt Hawthorn. Not long afterwards, we really started expanding the Single Malt and premium whisky selection. We specialise in whiskey now, with over 100 different labels in store – of which more than 70 are premium, or single malt. As things developed, we’ve become more and more specialised, to the point where I now carry 8 different Japanese whiskies (and 4 Sakes) and usually sell the limited batch or rare bottles out within a day or less, of posting them to our Facebook page. We’re becoming known for it. Have you got any whisky events coming up?